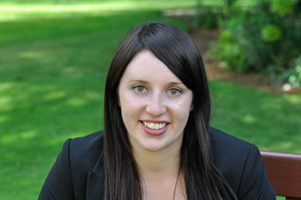 Joanne is a Senior Policy Associate for Mowat NFP, bringing her expertise in policy advocacy, impact evaluation and systems change. Located in Edmonton, Joanne is currently completing a J.D. at the University of Alberta Faculty of Law. She previously worked with the Government of Alberta and Caledon Institute of Social Policy on a range of social policy issues, including poverty reduction, early childhood development, gender equity and ageing populations. In her role with the Government of Alberta, Joanne contributed to the development and implementation of Alberta’s Social Policy Framework in 2013, which continues to be a guiding document for the Alberta Public Service. Joanne is a graduate of the University of Toronto and the University of Oxford, which she attended as a Rhodes Scholar while completing her Masters in Comparative Social Policy and Masters in Public Policy at the Blavatnik School of Government. Her graduate thesis focused on the role of policy networks in the transfer of social impact bonds from the United Kingdom to the United States.